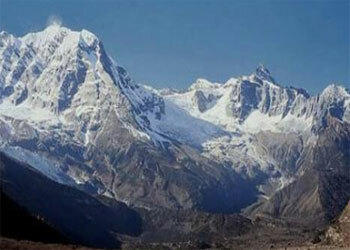 Manaslu Trekking region is less travel trekking route. The area to the east of the Annapurna are the peaks of Manaslu group. Few trekkers trek to this area, which makes a visit here all the more unique and unspoiled. The area is bordered by River Budi Gandaki and to the west by River Marshyangdi. This area is marked by two cultural highlights. Gorkha, which is the ancestral seat of the reigning Shah dynasty and the temple of Manakamana. 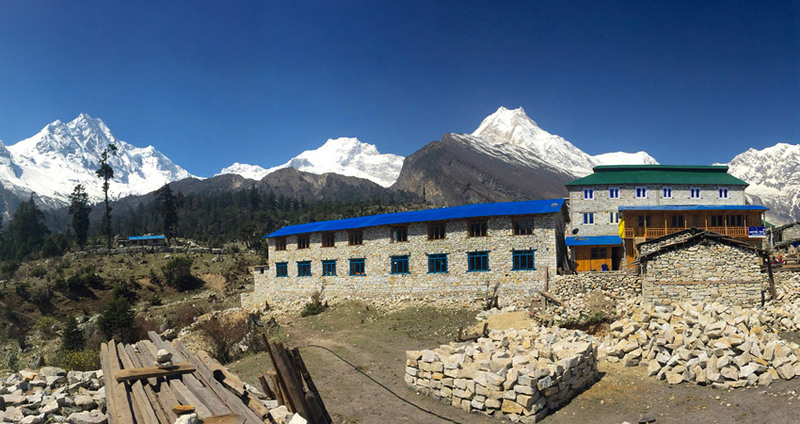 Since the treks in the Manaslu region originate at around 1,000 meters and reach as high as 5250 meters. The trekkers will see a wild range of flora typical of the middle hills and alpine regions of Nepal. Plants to be seen around here are pine, rhododendron, wildlife include barking deer, pika and Himalayan marmots. Birds to be sighted in the region are Pheasant, raven and chough. The best time to trek here is between September and May. Camping Trekking is suggested in these area. Ganesh Himal trekking area lies on the central eastern region of Nepal and knows as a Tamang cultural tour trekking. Although visible from the rooftops of Kathmandu, the Ganesh Himal massif is surprisingly remote. Named after the Hindu god of good fortune, the Ganesh .Ganesh Himal Trekking offers spectaculars views, untouched natural splendor, wild and friendly inhabitants, The high valleys north of the Ganesh range on the Tibetan border are the complete wilderness and away from much of the trekkers. This is one of the legendary “ Hidden Valleys ” of the Himalayas , guarded by 3 tiered pagoda set on a rocky steep sided gorge to pine forest and alpine meadows leading to a huge glacier below the snow capped peaks. During the Ganesh Himal Trekking you can observe the different ways of life culture and able to contact with rural people in the small villages, The trail starts from Trishuli following the upper valley landscapes. You will be witnessing the panoramic views of many majestic mountains, not tiring to see the smiling faces of native people from the villages and sometimes walking by the bank of rivers in continuation of the trail. You will have the opportunities to visit the inhabitants of these areas, who live in flat roofed fortress-like village in this remote village. The journey around these legendary mountains is among the most enjoyable though tough.